While the Kardashians are well known for sharing their lives with the world, they’ve been relatively quiet on the recent cheating allegations surrounding Khloé Kardashian‘s boyfriend, Tristan Thompson. Well, at least until now. Yes, the famous family is finally breaking their silence on rumors of the NBA star’s infidelity — and they are not playing around! 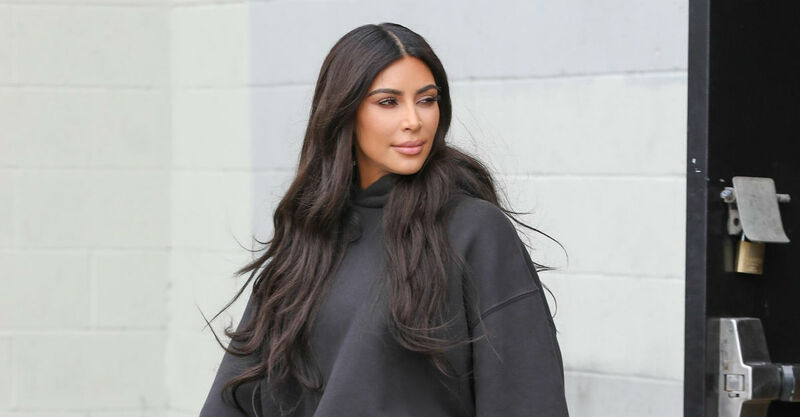 Addressing the situation for the first time, Kim Kardashian spilled about the baby daddy drama that has plagued the clan for weeks during her latest appearance on Ellen. And who better to ask those hard-hitting questions than family friend Ellen DeGeneres? Finally, one of the Kardashians has decided to comment on possibly the biggest scandal to hit the famous family this year! Kim Kardashian broke her silence about the cheating allegations surrounding Khloé Kardashian‘s boyfriend, Tristan Thompson. Appearing on Ellen to promote her new fragrance, the 37-year-old reality star opened up about how she felt when the scandal first broke — with some prompting from Ellen DeGeneres, of course. In a teaser for the interview, which will premiere in full on Monday, the comedienne broached the topic in her typical, non-subtle way. And finally, Kim said what we have all been thinking — and what some of us have been tweeting — since the news broke. “I don’t even know how to describe it except that it’s just so f**ked up,” Kim said, to a round of applause from members of the live studio audience. “Khloé is so strong, and it’s a really sad situation all over,” she continued. Sticking to her rule of not speaking for her sisters, theKKW Beauty founder said she will keep things civil when talking about Tristan in public. “I kind of made this rule with my brother that if there’s a baby involved, I’m going to keep it cute and keep it classy and not talk to bad, and not be negative, because one day True is going to see this,” Kim explained, referencing to Rob Kardashian’s previous problems with baby mama Blac Chyna. However, the Kim couldn’t quite stop herself. “It’s just so messed up,” she added.